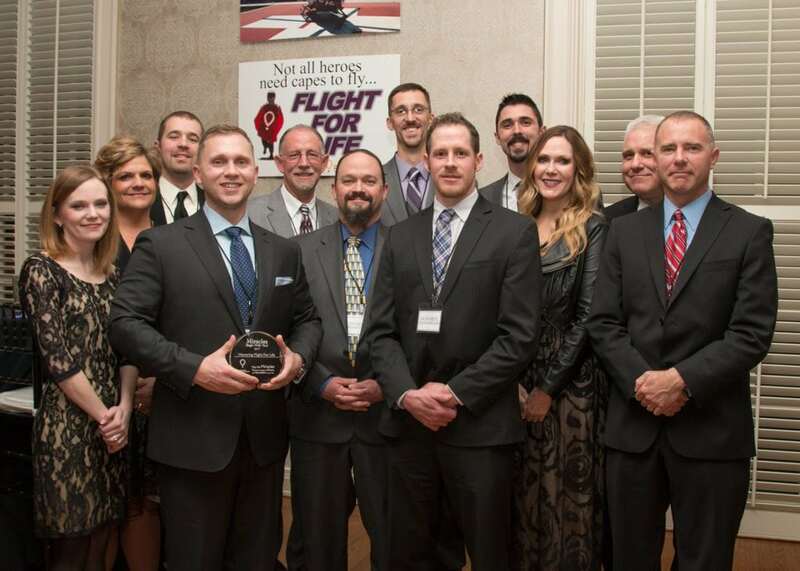 Children’s Miracle Network Hospitals honored the men and women of Flight For Life at the 5th Annual Miracles Begin With You! event on January 26. Miracles Begin With You! was founded in 2012 by Julie and Tom Brown, alongside Katie and Reagan Butts as a way to acknowledge the exceptional work of local pediatric caregivers while raising funds to support their efforts through Children’s Miracle Network Hospitals. Over the past five years, this event has raised over a quarter million dollars for Children’s Miracle Network Hospitals’ mission to serve the sick and injured children of Northeast Texas by providing lifesaving equipment, programs and services. Flight For Life was founded in 1985 when CHRISTUS Trinity Mother Frances realized the need for rapid transport in instances requiring critical care, bringing the first air ambulance service to the Northeast Texas region. Flight For Life’s care extends across 100,000 square miles, and with the recent addition of a fixed-wing aircraft to their fleet, that range will be extended and enhance the accessibility of care to the most critically ill patients. Over 200 children are transported by the Flight For Life team annually. Through the success of Miracles Begin With You! and the community’s support of Children’s Miracle Network Hospitals, the Flight For Life fleet has been outfitted with state-of-the-art pediatric transport equipment and training to help ensure the highest quality of care for the most fragile children. The Miracles Begin With You! committee and Children’s Miracle Network Hospitals were honored to recognize these highly skilled caregivers. It is through the gracious generosity of partners including Michelle and Bruce Brookshire, Katie and Reagan Butts, Dr. and Mrs. Steven P. Keuer, Mr. and Mrs. Joseph Z. Ornelas, The Saleh Family Foundation, and the CHRISTUS Trinity Mother Frances Volunteers, that this wonderful event is in its fifth year. Past recipients have included Dr. Brenda Morris, Bonnie Tincher, Dr. Patrick R. Thomas, Robin Rowan, Dr. Rick Rogers, Shirley Gordon, Terry Giles, John Gaston, and Lindsey Bradley. Next post: Join us for the 4th Annual Tyler Rose City Miracle Run on April 29!